The Lewin Group looked only at rigorous scientific studies that documented the benefits of nutritional supplements. They used the Congressional Budget Office’s accounting methods to determine the economic impact of supplements. And they kept their analysis specifically to Medicare patients and women of childbearing age. 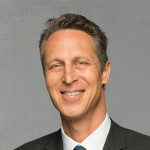 Today I will review the Lewin Group’s research, explain the remarkable conclusions they came to, and outline the supplements I recommend you take every day if you want to optimize your health and possible reduce health care costs in the process. 1. The supplement had to produce a measurable physiological effect. 2. This physiological effect had to create a change in health status. 3. The researchers only looked at health problems where a change in health status is associated with a decrease in healthcare expenditures. Now, most of us hear the refrain from our physicians that nutritional supplements just produce expensive urine, that you do not know what you are getting, or that there is no scientific proof to support their claims. Based on this study and many others like it, my advice to these doctors is to do their scientific homework. Let’s start by looking at the effects of calcium and vitamin D.
First, I want to point out the vitamin D research referred to in The Lewin Group study is older research. Newer research, as I discussed in my vitamin D blog, suggests that higher doses of vitamin D3, such as 1,000 to 2,000 IU a day, have even greater benefit. Yet even by focusing only on the older research, this study’s authors determined that providing Medicare-age citizens with 1,200 mg of calcium and 400 IU of vitamin D would result in reduced bone loss and fewer hip fractures. The researchers estimated these supplements could prevent more than 776,000 hospitalizations for hip fractures over five years and save $16.1 billion. Next let’s look at omega-3 fats. Omega-3 fatty acids help prevent cardiac arrhythmias, improve cell membrane function, reduce inflammation, lower cholesterol and blood pressure, and have many other benefits. This is pretty convincing data, but it doesn’t stop there. The Lewin Group also analyzed the economic effects of lutein and zeaxanthin–carotenoids that are found in yellow and orange vegetables. I recommend taking them in combination with the hundreds of other carotenoids found in yellow and orange foods. Taken as supplements, these have been shown to treat macular degeneration, which is the loss of central vision, a major reason people over age 65 require nursing home care. The study found that taking 6 to 10 mg of lutein and zeaxanthin daily would help 190,000 individuals avoid dependent care and would result in $3.6 billion in savings over five years. Lastly the Lewin Group looked at the effects of taking folic acid. 44 million women of childbearing age are not taking folic acid. If only 11.3 million of them began taking just 400 mcg of folic acid on a daily basis before conception, we could prevent birth defects called neural tube defects in 600 babies and save $344,700,000 in lifetime healthcare costs for these children. Over 5 years, this would account for $1.4 billion in savings. Taken together, these four simple interventions, which cost pennies a day, could produce a combined savings of $24 billion over five years. This does not even include benefits to people younger than 65 or any of the other benefits of nutritional supplementation, such as improved immunity, cognitive function, and mood. What’s more, our government’s nutrient guidelines ignore the fact that many Americans, because of genetic variations and unique needs, may need higher doses of vitamins and minerals than the RDA. Vitamin deficiency does not cause acute diseases such as scurvy or rickets, but they do cause what have been called “long-latency deficiency diseases.” These include conditions like blindness, osteoporosis, heart disease, cancer, diabetes, dementia, and more. What all this adds up to is clear. 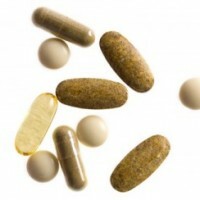 Nutritional supplements do not just make expensive urine. Based on mounting evidence and confirmed by the Journal of the American Medical Association (ii) and The New England Journal of Medicine (iii), I strongly believe that we should all be taking certain basic supplements. 1. A high-quality multivitamin and mineral. The multivitamin should contain mixed carotenoids, which include lutein and zeaxanthin as part of their mix, as well as at least 400 mcg of folate and a mixed B-complex vitamin. 2. Calcium-magnesium with at least 600 mg of calcium and 400 mg of magnesium. The calcium should be calcium citrate or chelated versions of minerals. Do not use calcium carbonate or magnesium oxide, which are cheap minerals that are poorly absorbed. 3. Vitamin D3, 1,000 to 2,000 IU a day (people who are deficient in vitamin D will need more). 4. Omega-3 fatty acids that contain the fats EPA and DHA, 1,000 to 2,000 mg a day. (iii) Willett W.C., and M.J. Stampfer. (2002). What vitamins should I be taking doctor? New England Journal of Medicine. 345 (24):1914-1916.